Every now and again, you come across some products that completely knock you off kilter. 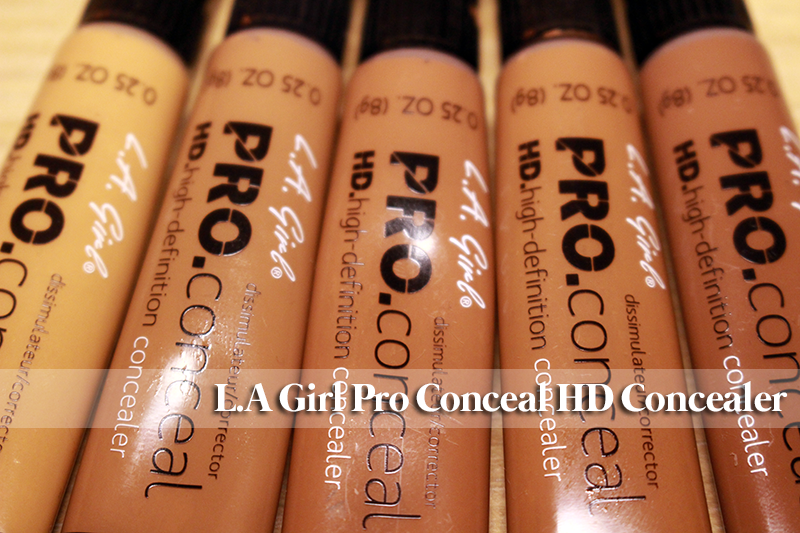 L.A Girl Pro Conceal HD concealers are one of them. 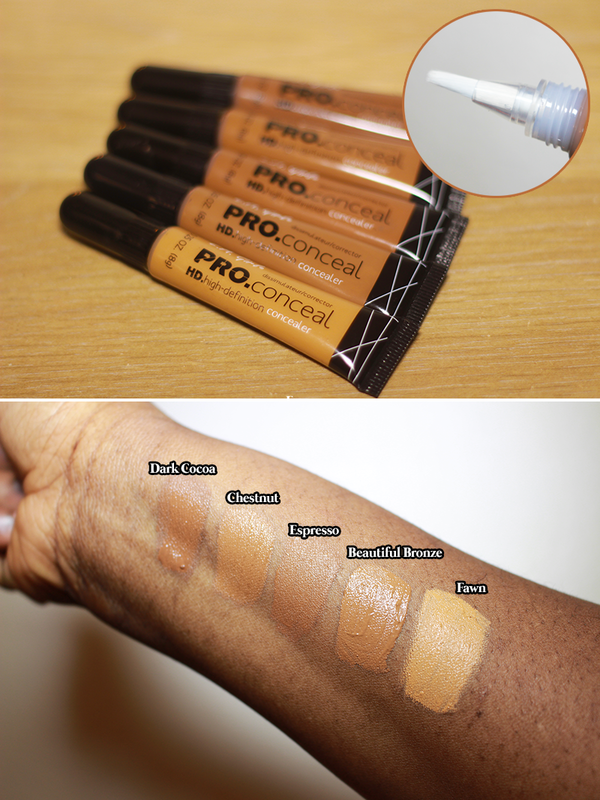 I first came across the brand while perusing some concealer reviews on youtube and noticed that a lot of black youtubers would frequently praise this specific concealer; noting how great they were for use as highlighters. I then ordered a few tubes on the Cherry Culture website during the Black Friday sale last year and I haven’t stopped using them since. Coming in a whopping 18 shades, the cruelty free concealers are crease resistant and offer opaque coverage while covering fine lines and dark circles. The texture is very creamy which at first was a cause for concern as I feared that it may not be blendable, however I needn’t have worried as it blends in beautifully without streaking or gathering under the eyes. I picked up five dark shades; Dark Cocoa, Chestnut, Espresso, Beautiful Bronze and Fawn. I use Fawn predominantly to highlight the top of my cheekbones and under my eyebrows and Chestnut and Espresso to conceal the other areas on my face. 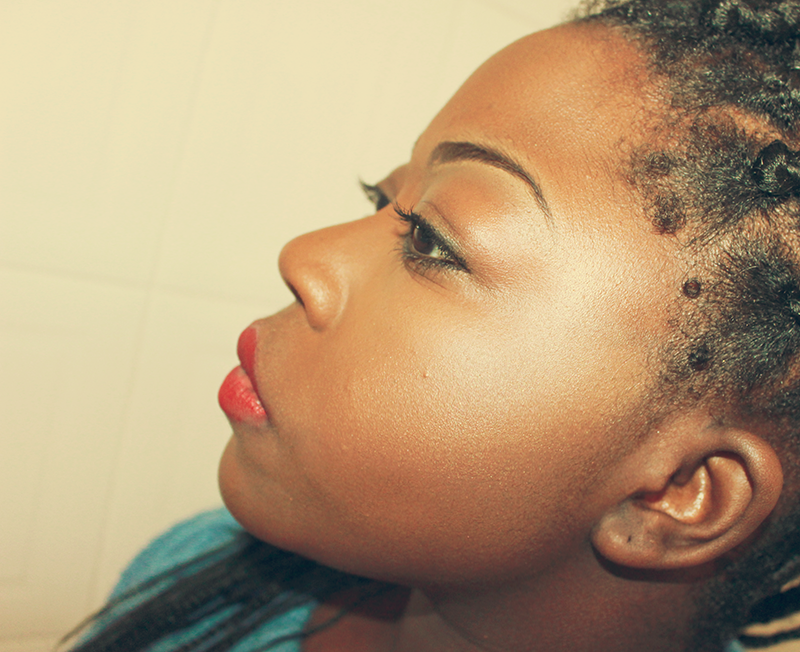 What I like about them is that they last all day and make your face look flawless when taking a photo. 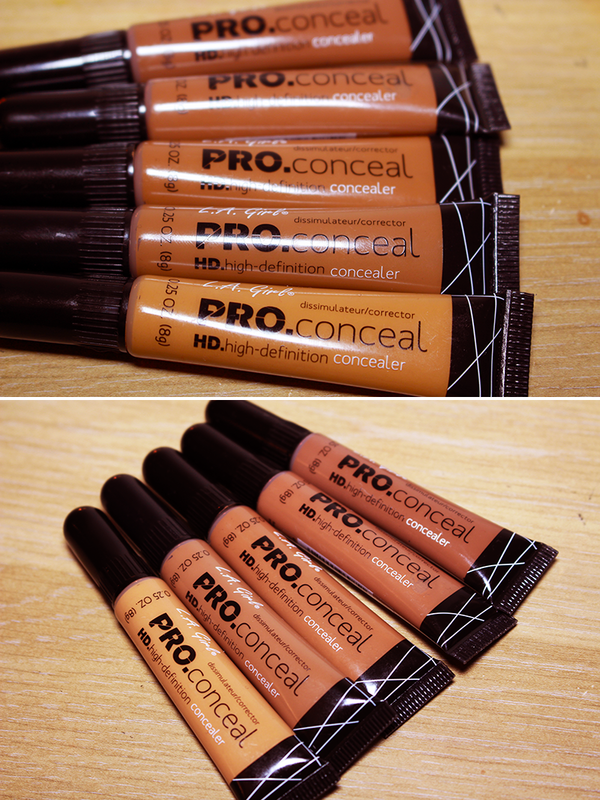 I could comfortably wear the concealer alone with a powder and go out, as the coverage is amazing. I’m so impressed with these babies. What’s even better is that they are only $3.00 a pop! Now, I’ve searched and searched for an online UK outlet but to no avail. I would definitely recommend purchasing them from the Cherry Culture site as they are ALWAYS doing sales and besides, the international shipping isn’t at hefty as other sites. It also takes about 10 days to arrive, which isn’t that bad to be honest.